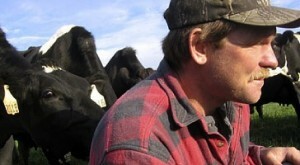 My name is Robert Klessig, and I am the fifth generation on Saxon Homestead Farm. My family and I passionately oversee the pastures and livestock on our farm. I am a grazier. 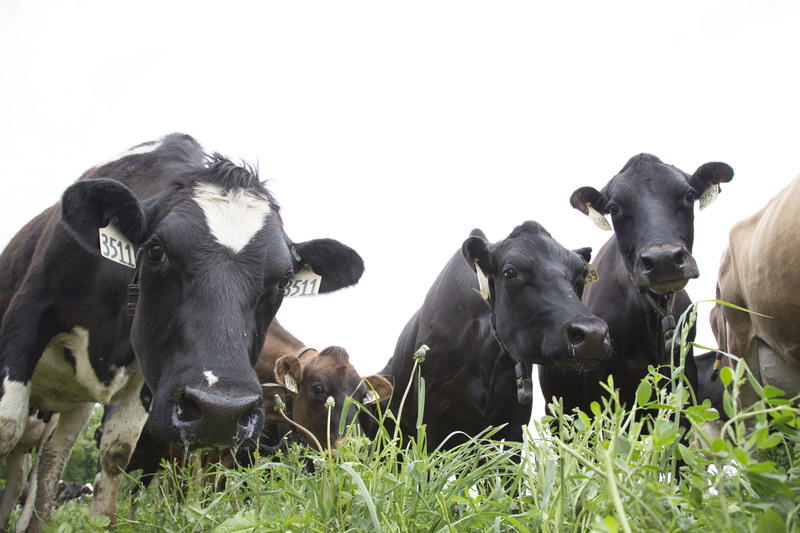 Rotational grazing is the cornerstone of our farm, and it is what makes Saxon Creamery cheese so rich and flavorful. On our farm, we have reduced our reliance on fossil fuels, energy and chemicals, drastically lowering our carbon foot print. Our cows graze on harvest grass in a patch of pasture called a paddock. They are moved every 12 hours to a fresh paddock to graze. 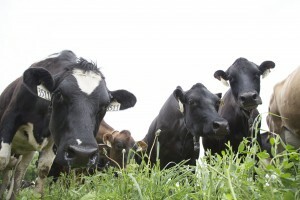 Our cows are a duke’s mixture of Holstein, Jersey and Brown Swiss. They are called crossbreds. We offer them a blend of nutritious grains, home-grown hay, grass and silage to balance their diet and keep them in top notch health. While our cows have access to pasture throughout our northern winters, we also allow them access to comfortable bedded free stalls during inclement weather. All animals, including cows, have an incredible sense of smell. They avoid grass near old cow pies until they have completely broken down, allowing the natural cycle of renewal to run its course. A cow pie armors itself against the elements with a sun-baked skin that prevents soil surface run off from contaminating ground water. This allows the billions of soil microorganisms to regenerate themselves at their own pace, building a better pasture, cleaner water and healthier soil. Just like the bison, our cows share and enjoy the fresh air, sunshine and pastures with a plethora of native grass-loving birds, like swallows, bobolinks, kingbirds and meadowlarks. We take pride in growing the best home-grown pasture for our cows, the way nature intended.